Tennessee farmers are teaching firsthand how food is produced. Becca Lynne Gilmer and younger sister Riley tending to the animals at Falcon Ridge Farm located just outside of Memphis, Tennessee. When asked about their work, most farmers will tell you there’s never a dull moment. After all, they wear many hats – producer, planner, laborer, caretaker and even teacher. 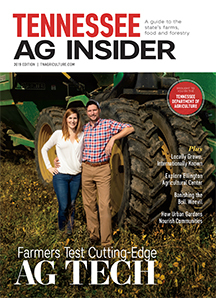 The farmer’s role as educator has become increasingly important in recent years, as consumers are returning to farmlands asking where, and how, their food is produced. One way farmers are educating the public is by opening their doors to visitors. For Tennessee operators looking for examples, look to the models set by Falcon Ridge Farm and Apple Valley Orchard. Both are successfully addressing consumer concerns and teaching the next generation what it’s like to be a modern-day farmer. The Gilmers of Falcon Ridge Farm in Toone have always been blessed with fresh fruits and vegetables. The fourth-generation farm family wants to share this luxury with others, so they held their first fall festival complete with corn maze and pumpkin patch in 2009. To accomplish this goal, Falcon Ridge offers an Easter festival with egg hunts and the Easter Bunny; a strawberry festival featuring strawberry picking and a strawberry-eating contest; and cut Christmas trees where families take a wagon ride out to the fields. Not to mention pick-your-own blueberries and blackberries. The farm also has animal and crop interaction with all of its events. For example, school groups attend “Mr. Ray’s Horse Lesson” and learn about equine history, anatomy, diet and proper care. Gilmer also shares his experience with training breeds like the Tennessee Walking Horse. Falcon Ridge Farm also runs a community supported agriculture program, or CSA, offering consumers fresh fruits and vegetables along with knowledge about how that food is grown. The farm teaches how to properly clean, store and prepare produce. Starting with just two apple trees in the 1960s, Apple Valley Orchard now boasts approximately 15,000 trees off the back roads of Cleveland. About 98 percent of the orchard’s produce is sold at a store located right on the farm – making visitor interaction and education essential. “We love talking to customers on the retail floor and helping them make decisions on apples,” owner Chuck McSpadden says. “We also get a lot of elementary school field trips. In September and October, Monday through Friday, we are booked every day with 100 to 150 kids. We do a trailer ride through the orchard and talk about insects, how we control them and why we have to protect our apples,” he adds. In addition, the orchard offers public tours during weekends in September and October, educating consumers about growing apples. There are a lot of misconceptions, McSpadden says. Such candid talks with consumers help dispel myths, and may encourage them to opt for more farm-fresh foods in the future. 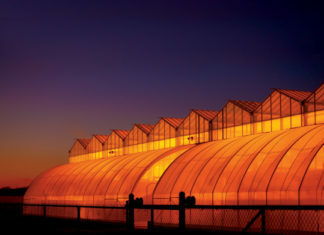 You can find learning opportunities on farms across Tennessee. Access the Pick TN Products mobile app or visit picktnproducts.org to find farms that offer educational tours, farm crop festivals, seasonal products and activities for all ages.